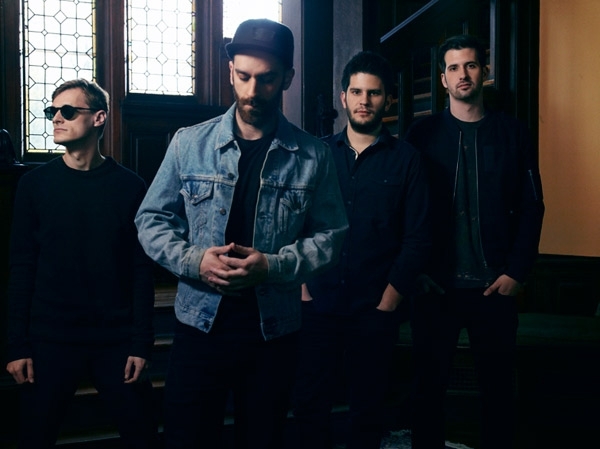 X Ambassadors, a Brooklyn quartet with a penchant for wide-reaching pop inflected with alt rock, soul and punk, released their debut EP Love Songs Drug Songs back in May on KIDinaKorner and Interscope. The record was produced by KIDinaKorner founder Alex Da Kid, along with the band's friend Dan Stringer and Imagine Dragons frontman Dan Reynolds. Now Reynolds' group has put their own spin on album cut "Unconsolable," juicing the click-clack percussion and heavy guitar strums of the original into raging dance cut laden with copious, rumbling synth wubs. 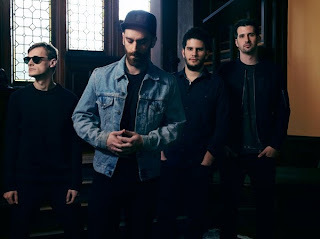 "'Unconsolable' is a song about brotherhood; about the bonds we make growing up," X Ambassadors lead singer Sam Harris tells Rolling Stone. "It's about all the stupid things we get ourselves into as kids. Noah, Casey and I all grew up in a small town in upstate New York. There were these beautiful, old colonial houses that a lot of kids moved into after high school; they'd turn them into these awful, dilapidated party houses. We'd go there and completely destroy them. I always dreamed of getting out, of finally leaving town. When I did, I was sad. I missed those houses and all the people I knew back there."